There is no other light source that compares to the brilliance and power of fireworks. Fireworks have the universal entertainment power to please both young and old alike. The oohs and aahs from our 400+ special effects are sure to create an unforgettable impression. To create our “artistry in the sky” we choose from a palette of colors, shapes, designs, effects and products hand-selected by the Souza family from our International sources. We start at the ground, and… well… the sky’s the limit! 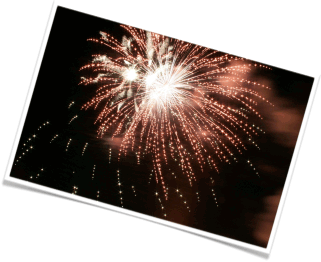 Contact us and see how easy and affordable it is to add the excitement of fireworks to your next production.